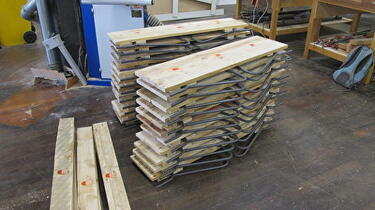 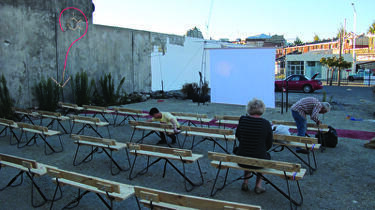 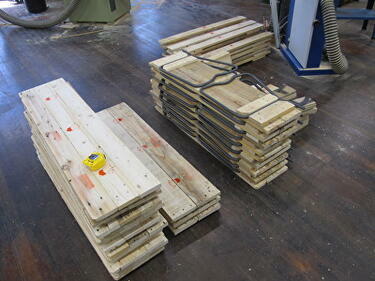 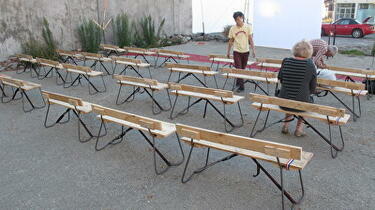 A photograph of wooden planks used in the construction of Gap Filler's temporary outdoor cinema. 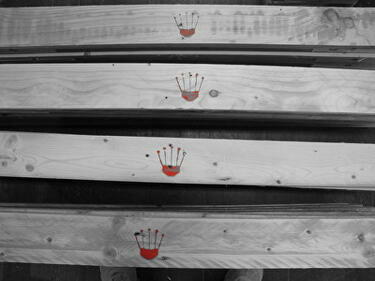 The boards have a crown logo painted on them. 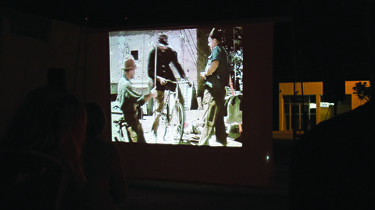 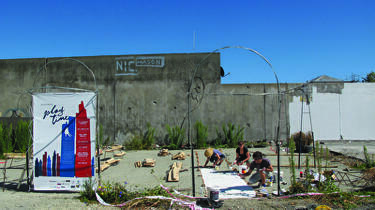 A photograph of the entrance to Gap Filler's temporary outdoor cinema on the corner of Madras and St Asaph Streets. 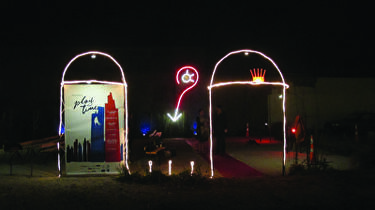 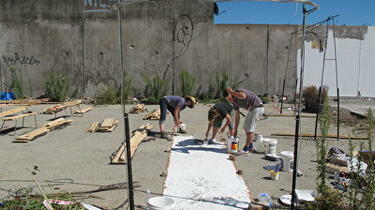 The entranceway is made of lights on a steel frame, and leads to a painted "red carpet".